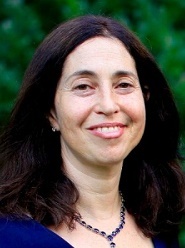 Gayle Levin is Director of Solutions Marketing at Riverbed Technologies. Everything seems to be going hybrid. Cars, clouds, computing, applications – companies in a wide variety of industries are combining multiple, disparate attributes to make new and market-disrupting products and services. The successful formula uses intelligent decision-making to take advantage of the right attributes at the right time, delivering better operating performance and substantial cost savings. Wide-area networks (WANs) are also going hybrid and have been for some time. The definition of a hybrid WAN is two or more network connections from each office leveraging different technologies, such as MPLS, 4G wireless, and Internet broadband. The advantages are lower costs and increased agility but deploying and managing a diverse set of network links can be cumbersome and prone to error. However, the intelligent-decision-making part of the successful formula for hybrid WANs can be difficult to implement without the help of from software-defined networking technologies. These software-defined WANs (SD-WANs) simplify hybrid WAN configuration and management, enabling global orchestration, centralized management, and remote deployment. Using SD-WAN technology, global orchestration and management can also be extended to the wired or wireless LAN, setting common policies that can be implemented across a unified network fabric. According to a July 2017 report from market-research firm IDC, hybrid WAN adoption based on SD-WANs is seeing “remarkable growth” as companies move toward more cloud-based applications and seek to streamline their network infrastructure. Perhaps the biggest challenge of hybrid WANs is the management complexity of multiple link types, complicated routing schemes, and difficult configuration of remote sites. SD-WAN controllers simplify this with plain-language instructions based on application, user, location, performance, and security. A comprehensive view of the enterprise encompasses cloud services, data centers, and branch networks. Network operators can easily mix and match MPLS and Internet links for the desired combination of price, performance, and reliability. End-to-end security zones segment traffic by user, application, or other essential criteria from branch LANs and Wi-Fi networks all the way to the cloud or data center. Monitoring and managing a hybrid WAN is also simplified by SD-WAN tools. Detailed analytics provide real-time information on traffic flows and optimization activity, enabling operators to shift from reactive to proactive mode. Everything remains visible to the network controller, filtered by application, user, location, or device. Hybrid WAN users just want to get to their application or data quickly and securely whether it resides in the data center, cloud-based SaaS, or on the public Internet. They do not want or need to know which link they are using nor do they want to repeatedly wait for VPNs connections. Effective hybrid WANs operate based on the user’s or application’s identity, applying business-driven policies consistently across the whole network. With SD-WAN solutions, straightforward workflows and intent-based policies deal with most situations automatically, directing traffic to the best available path. Quality of service (QoS) is factored into path steering policies, ensuring that the most business-critical applications are prioritized accordingly. VPN creating is greatly simplified as well. SD-WAN management controllers automate VPN creation in hybrid WANs, making the whole collection of links and locations appear as one seamless and secure network. They automatically create a mesh of secure VPN tunnels between all locations, including virtual private clouds, so that network staff can focus on defining workflows and policies. Growing the network has long required either sending network staff to remote sites or painstakingly walking non-technical remote staff through arcane configurations. Increased mobility and cloud-based applications are increasing the number and complexity of these remote offices, often resulting in cascading changes to the network that can take weeks or months to resolve. SD-WAN tools facilitate zero-touch deployment of remote devices in which the devices are plugged into the network and automatically configured based on preset policies. If a device fails, a new one can be shipped and automatically configured since the settings are stored centrally. One-click configurators can also extend the network to cloud infrastructure and services quickly and securely. Hybrid networks extend all the way to each user’s device and incorporate a wide variety of existing routers, switches, and security gear. Effective SD-WAN solutions work with existing equipment so that organizations can transition to a hybrid model at their own pace. Network overlays, policy workflows, and security constraints take into consideration the existing gear and integrate it into a cohesive whole. Advanced SD-WAN solutions also extend into wired and wireless LAN and areas of future growth to accommodate guests, partners, new devices, and the Internet of Things. Organizations of all types are looking to increase their network agility while reducing costs, and hybrid WANs are the answer. Simplicity of orchestration, deployment, and management are the keys to getting the maximum benefits from hybrid WANs. Centralized management consoles, global business policies and workflows, and integration with cloud networks and wired/wireless LANs are just some of the ways that SD-WAN is making powerful hybrid networks a reality.